I'll never forget the first time I had soft-shell crab. It was a late night at Pepper's Porch in Bluffton and the restaurant had just stopped serving food. We were having drinks with some of the boys from Bluffton Oyster Company and we were all starving. They suggested we head over to one of the shrimp boats where they'd fry up some seafood in the galley. You can't find seafood any fresher than right on a shrimp boat. The best part? It was soft-shell crab season. Soft-shell blue crab is a delicacy. These crabs are rare and the process for how they land on your plate is like a Lowcountry treasure hunt. Right now we are in the thick of soft-shell season and folks are saying the season this year could be as short as two weeks. 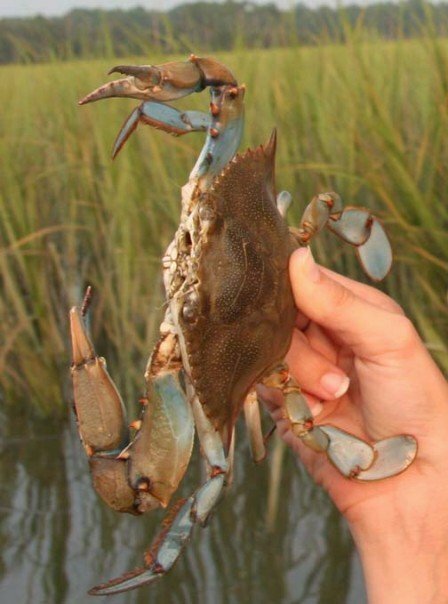 A couple times a year blue crabs go through a molting process where they lose their shells. Two days before they lose their shell, their back fin turns red around the edges. Lowcountry watermen refer to crabs during this stage as "red line peelers". Crabs caught during the red line stage are watched very carefully so they can be protected from each other after their shell is discarded. Larry Toomer, owner of the Bluffton Oyster Company, once told me that during soft-shell season he has to set his alarm so he can check on the crabs multiple times each night. Once the shell is completely lost these crabs are referred to as soft-shell crab. It's hard to believe these crabs can even make it to your kitchen. Soft-shell crabs will only last for a couple hours in water before their new shell hardens. Traditionally blue crabs are hard to eat because you have to pick all the meat out of the shell. During soft-shell season we are spoiled because you can just bite right into them. The best way to eat soft-shell crab is to fry it. In my book, it's the only way to go. This past Friday I had the opportunity to photograph a soft-shell sandwich where all the elements are just right. 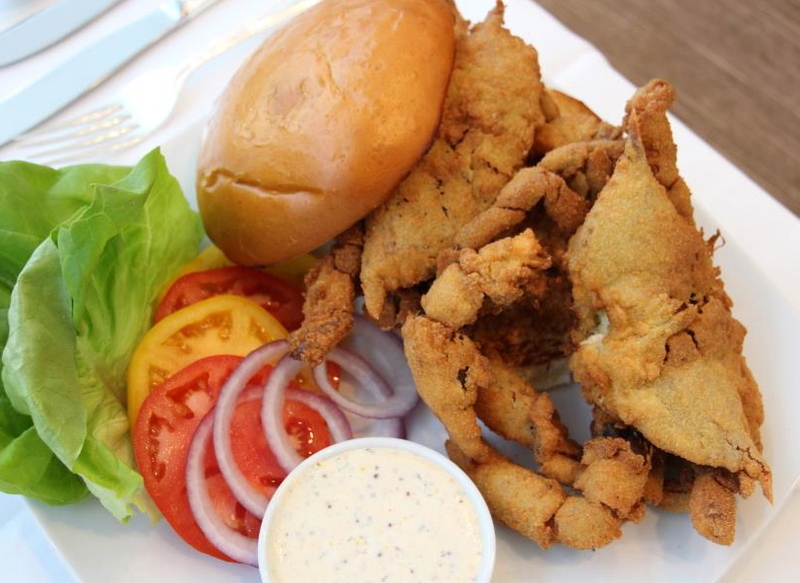 The Soft-Shell Crab Sandwich at the Palmetto Cafe is created by Chef Steven Manall. This sandwich is paired with a Dill Remoulade and fresh, local vegetables. Eating these crabs is truly fulfilling, not only because it's delicious (and it's delicious), but also because of all the hard work that goes into creating the dish. If you want to try this sandwich, you better hurry... the season won't last long this year!